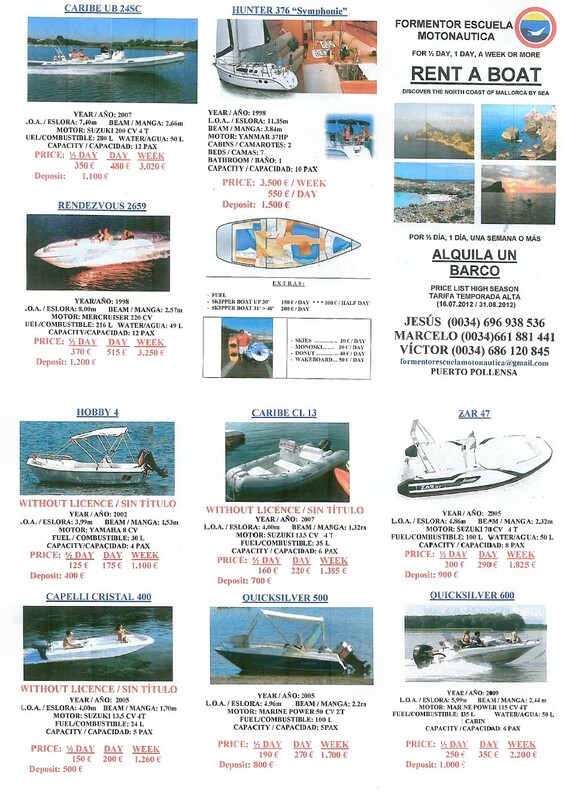 Self drive boats are available for hire in Peurto Pollensa – an International Certificate of Competence (ICC) is required for any boat with an engine power of over 25hp. The ICC is issued through the www.rya.org.uk. The ICC is issued after the completion of a 2 day RYA Powerboat Level 2 course. Try www.seawakepowerboattraining.co.uk based on the Menai Straits they run a 2 day course for £225 per person. www.nautinort.com has a selection of power boats available for rent from Peurto Pollensa on a self drive basis from 12 feet with a 25hp engine (no license needed) up to an 8 metre with a 320hp engine – in between their 6m with a 115hp engine is ideal for exploring the secluded beaches around the bay of Pollensa. 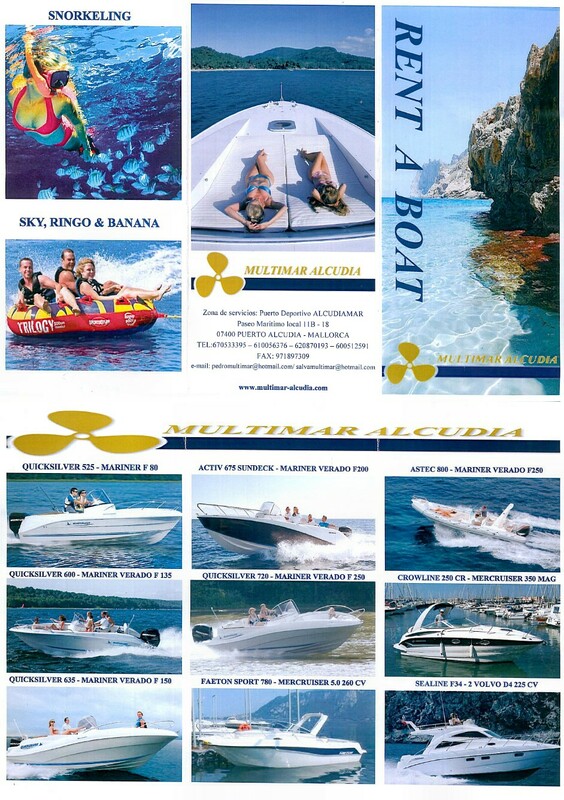 www.multimar-alcudia.com offer powerboat rental from both Peurto Pollensa and Alcudia. They offer powerboats from 5.25m with a 80hp outboard to a 34 foot Sealine with twin Volvo 225 Diesel engines! Click here for their leaflet.